So, as GP, and with the NHS all over the news right now, I wanted to throw some thoughts into the ring. Firstly, I am so glad of the NHS. I am so glad that no m atter who you are or where you come from, no matter how poor you are, you can get truly excellent free healthcare in this country. 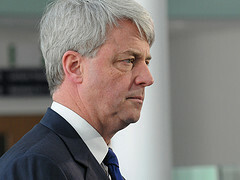 You can read all about the proposed changes that Andrew Lansley is suggesting and why he thinks they are a good idea. You can read all about why Clare Gerada , chair of the RCGP, the RCN, Physios and numerous other health bodies are now vehemently opposing the changes he suggests (or rather the ideological objective behind how these changes might be implemented). You can read Andy Burnham MP’s tweets. You can listen to podcasts, you can watch question time or tune in to radio debates. All very interesting and some huge issues to tackle. In the main it boils down to: misuse of the service, overspending, affordability in the future and the role of private companies in providing ‘services’.